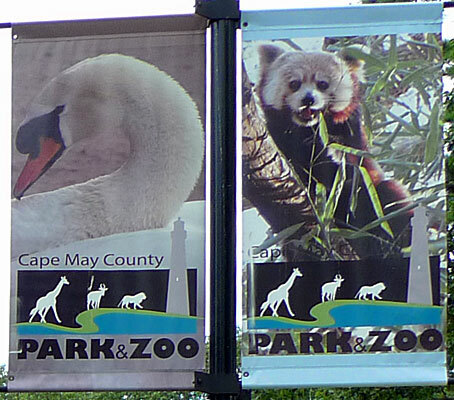 The Cape May County Park and Zoo is located just off the Garden State Parkway in a town called 'Cape May Court House'. Although there is no admission charge, there is an expected donation that is collected as you pull onto the property. The donation amount is totally up to you. 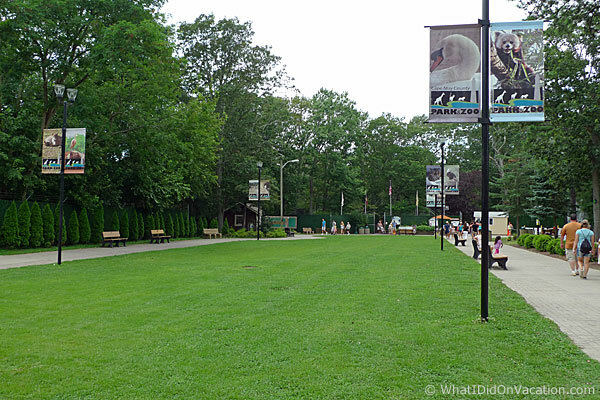 A grassy area acts as the entrance plaza to the Cape May County Zoo. 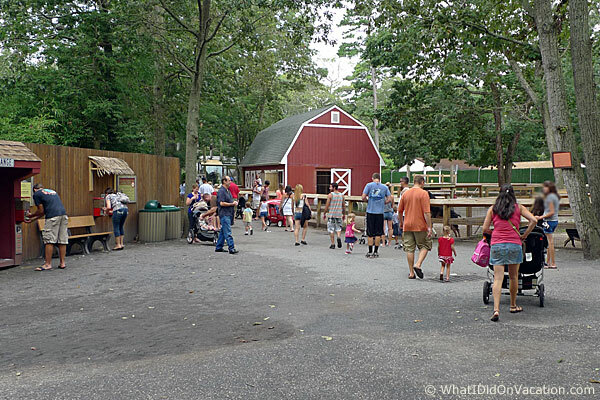 Also located in the entrance plaza is the Snack Shack where you can grab a bite to eat or some refreshments. 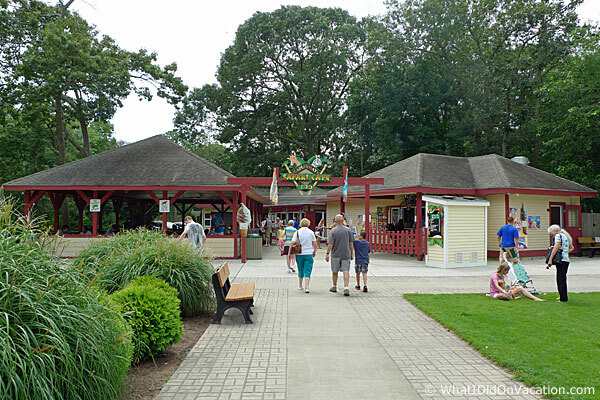 Not shown is a carousel and souvenir building where every purchase supports animal care. Just past the entrance is this barnyard setting. 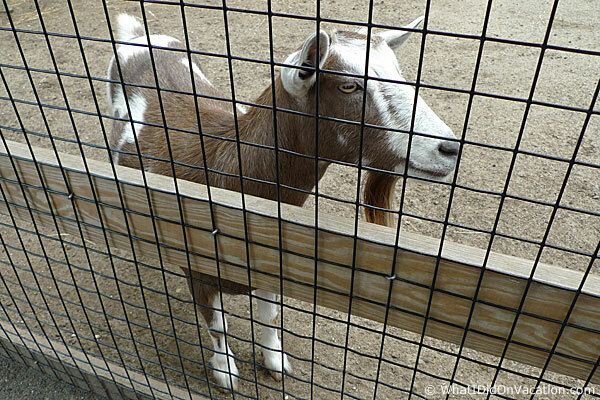 There you can feed the goats. 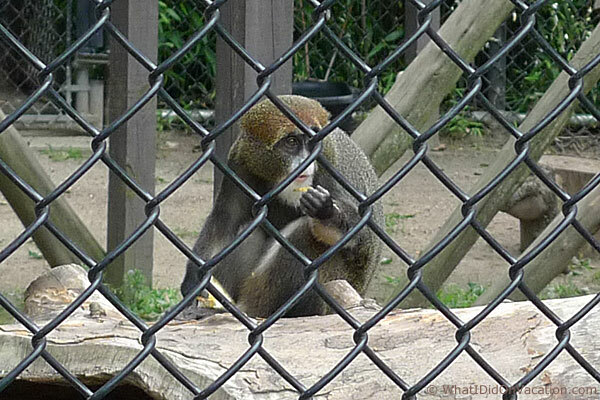 A De Brazza monkey perched on a log nearby. 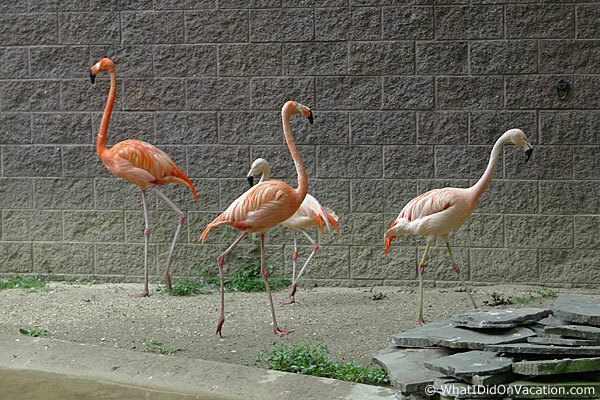 These flamingos frolic by a pond. 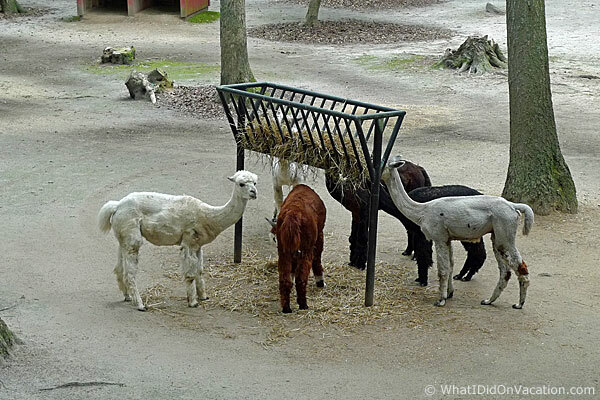 Its dinner time for the llamas. 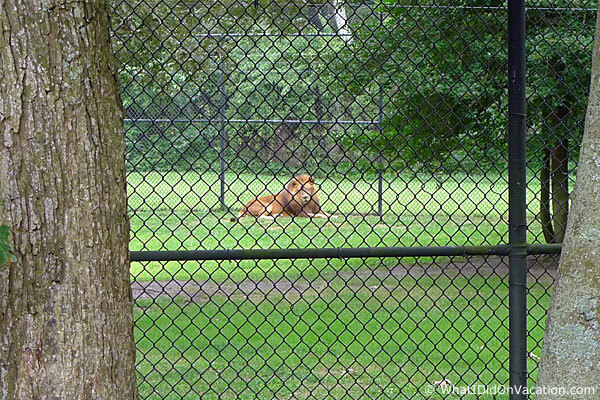 If you look way out there, you can see the lion. 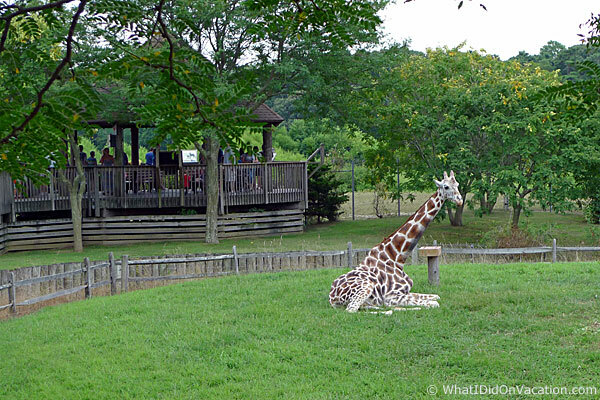 The giraffe habitat was the most impressive at this zoo. 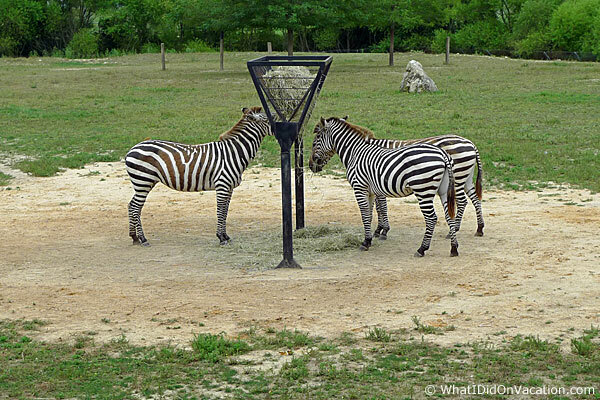 The zebras were very active and interesting to watch. 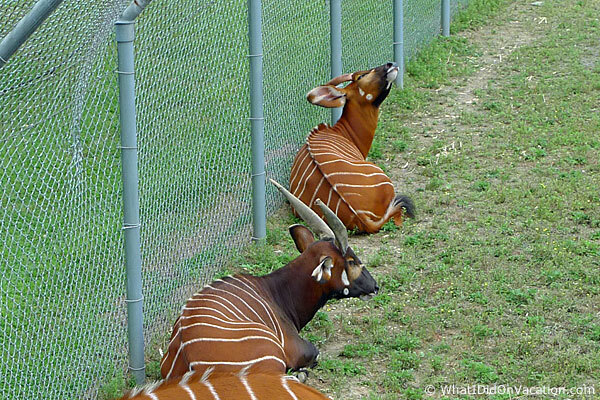 The Bongos were resting along the chain link fence. 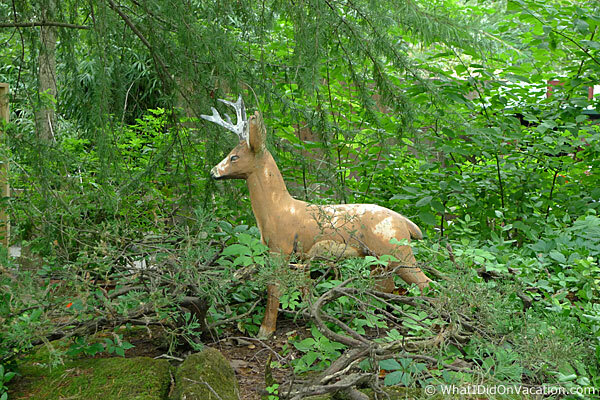 Really, the deer they fake?